I've been seeing the words 'dipbrow' and 'brow wiz' popping up on many a make up artist's Instagram product breakdowns for a while now. Whenever I come across a perfectly sculpted brow picture on Instagram it's more than likely to be achieved by using the brow range from Anastasia Beverly Hills. This woman is the queen of brows. With a huge celebrity following including the likes of Jennifer Lopez and Penelope Cruz, I ended up breaking my rule of only purchasing make up that I can touch and see by getting myself one the famous Dipbrow's. I opted for the darkest shade, ebony, which is suitable for mid-brown to black hair. I also bought the dual-ended brow brush that's recommended for application. Although it's called ebony, it's not black. 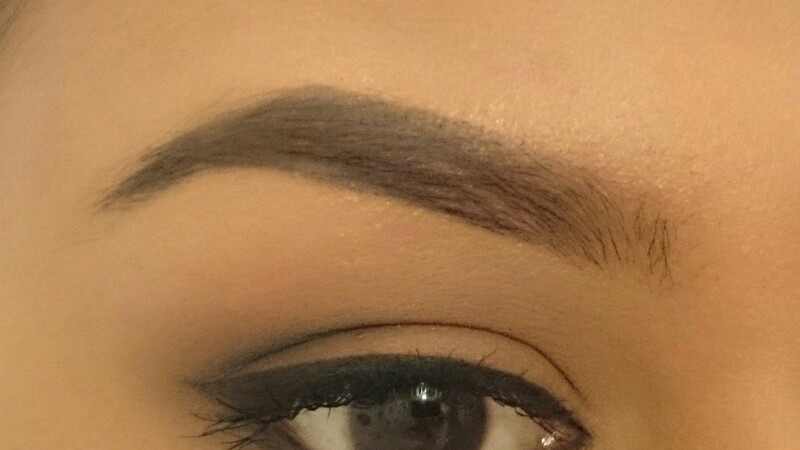 It's more like a dark, charcoal brown and grey tones are always better for achieving natural looking brows. 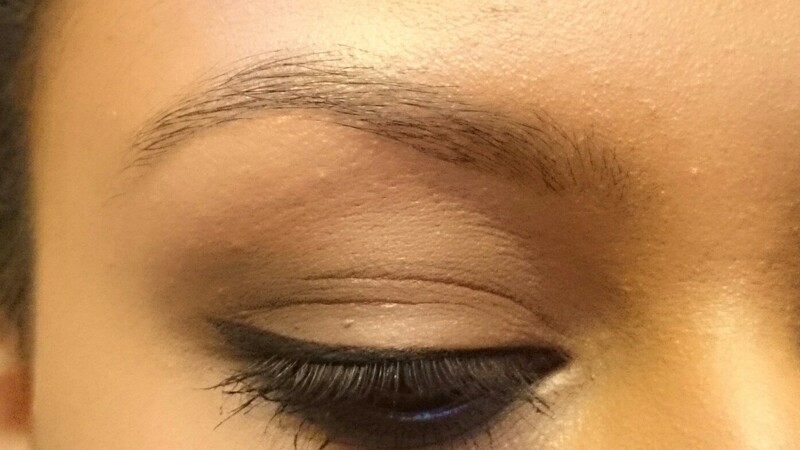 The product looks very much like a gel liner but it's not as rich in pigment and easier to blend. It's perfect for people like me who have very fine, sparse eyebrows and need something that helps create shape and lasts - and it does last, longer than any other brow product I've tried. I find that on my eyebrows, brow powders just melt away by the end of the day but Dipbrow dries to a powder finish, clings to my skin and stays put. The product can look quite intimidating, I wasn't quite sure how it would turn out when I first used it because it looked thick and really dark but the trick is to use a little bit at a time. I just tapped the angled brow brush into the product and softly shaped and filled in the gaps. The angled brow brush is perfectly cut to create defined lines and I used the spooly end to brush the product through at intervals to blend any lines or strong deposits of colour. I'd recommend this product to anyone who has eyebrows with fine hairs or someone with oily skin that finds it difficult to find brow products that last. This is by far one of the best brow products I've ever used and it's perfect if, like me, you really love wearing defined, bold brows. I'm looking forward to trying other products by Anastasia Beverly Hills, especially Brow Wiz and her contour products. I bought the Dipbrow and brush for £29 with free delivery over at Beauty Bay. Have you tried any Anastasia Beverly Hills products? What do you use on your brows?